Exclusively Ours! 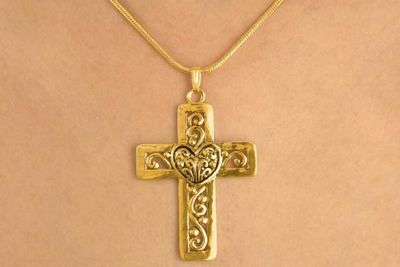 An Allan Robin Design. 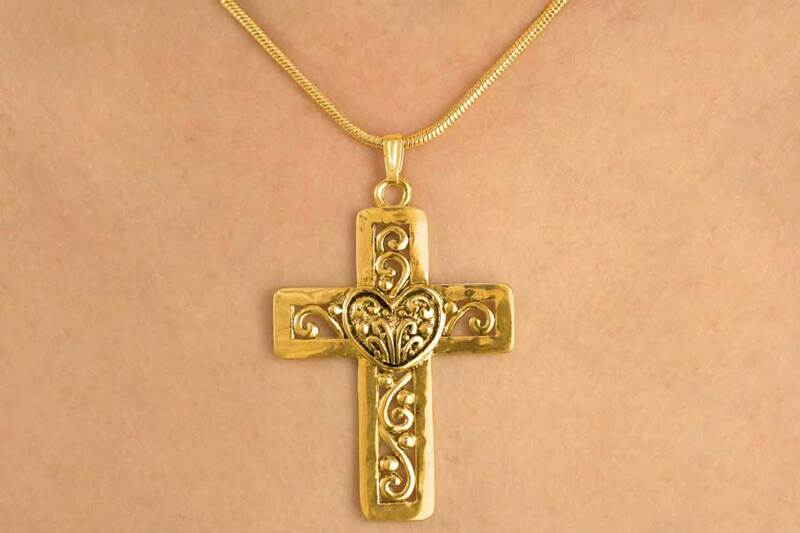 Gold Finish Lobster Clasp Suspends A Filigree Decorated Cross With A Small Heart In The Middle.